Are you passionate about the community and have a desire to grow as a leader? 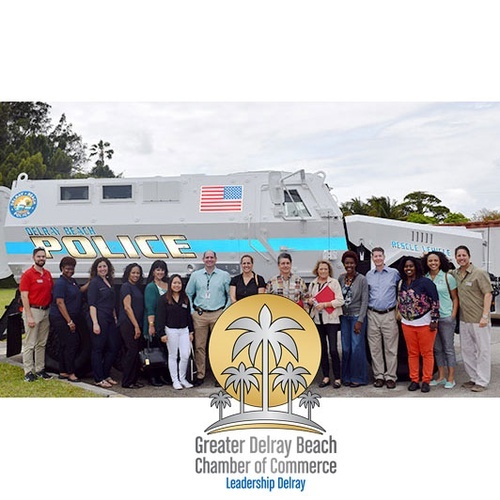 Leadership Delray may be for you. Connect with other prominent business, government and civic leaders as you grow through unique first-hand experiences. Participants learn about what it means to be a leader as they explore all aspects of our community - education, local government, health care, emergency services, arts and culture, recreation, the news media, and more. Click on Register Now to enroll in program. Kick off date is October 10th followed by monthly Leadership themed programs. Classes: October through June, one day each month, approximately 8 a.m. - 3:30 p.m. Nine classes total.